Marjorie Minnie is a high quality brand of contemporary blankets and cushions for cool kids and modern families. Intended as gender neutral heirloom designs to last throughout childhood and pass on to the next generation, our products hold timeless appeal and can be used throughout your home in both child and adult spaces. 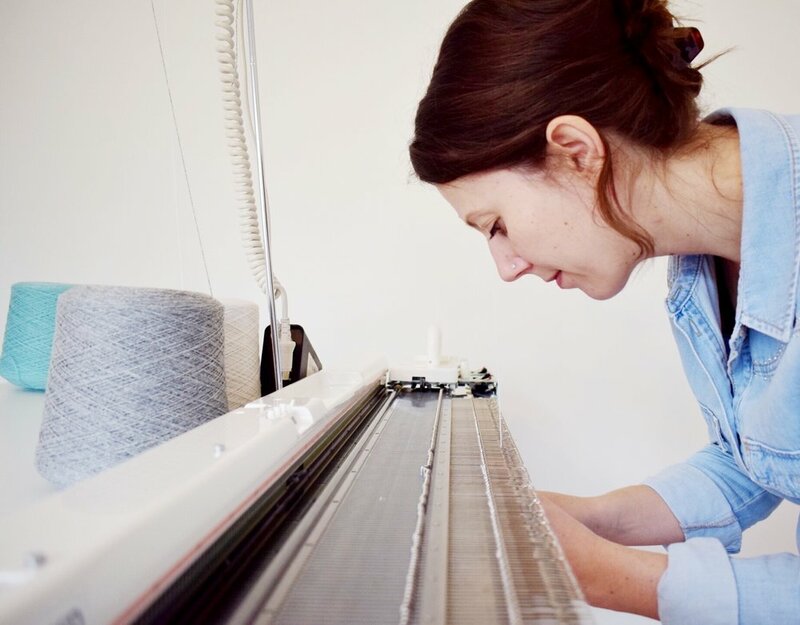 Marjorie Minnie was established in 2015 by Gaby Durnford, a machine knitter, Textile Technician and twin Mama. All our products are designed and hand finished at our home studio in Bath. Our blankets are knitted in a small family run factory in Scotland from fine spun Scottish Lambswool, making them soft, natural & 100% British Made. Thank you for visiting our shop, we hope you'll find what you are looking for and love what you see.